Project Overview: Wingfield High School (WHS) is one of the eight Jackson Public School District (JPSD) high schools. JPSD and Mississippi scores still trail the nation’s performances in most tested subject areas, and there are still large achievement gaps for minority and low income students. WHS has a student enrollment of about 1,120 students including 96.2% of Black/African Americans and 3.8% of Whites. In 2008, WHS had one of the lowest composite ACT scores at JPSD. In 2003, WHS ranked 183 of the 251 high schools in the nation. Hence, it is essential to develop and implement cost-effective strategies to improve academic performance at WHS, and especially in the science and mathematics areas. In an attempt to address the critical issue of science and mathematics education preparation, the STEM Improvement Program was designed by Jackson State University College of Science, Engineering & Technology to promote and strengthen science and mathematics education at Wingfield High School so that students can acquire the skills necessary to be successful in challenging STEM programs in Colleges. Goals and Objectives: The overarching goal is to develop and implement a comprehensive learning process that integrates a strong professional development program for teachers and a student enrichment program that involves research training, mentoring, presentation at scientific conferences, and participation in science and engineering fairs. Implement a professional development program for WHS teachers…by organizing professional development workshops to train participants on integrated learning systems, and to engage them in multidisciplinary research in STEM areas. Implement a STEM enrichment program and increase students’ performance…by providing opportunities for students to participate in tutoring sessions, organized seminars, workshops and conferences in specific multidisciplinary areas of STEM education. 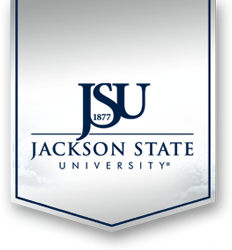 Facilitate the transition of WHS students to STEM programs at JSU…by implementing a summer bridge program clearly tailored toward a smooth transition of K12 students and achievement in College STEM disciplines.